Real collectible old license plates used to make birdhouses and more! Jolinda Lampo's story about her journey in life that brought her to having a need for used license plates from ShopLicensePlates is driven primarily by her love of animals. How does the love of animals lead to or relate to old expired license plates, you might ask? At first, it may seem strange jump. But here is how it started. About 15 years ago, Jolinda rescued a golden retriever from a local rescue group called the Retrievers & Friends of Southern California in Temecula. The golden retriever was desperately in need of a home. When Jolinda was introduced to her, she was 6 years old at the time. Jolinda called her Lilly. The rescue group, the Retrievers & Friends of Southern California, is truly amazing and does such wonderful work with saving animals. The organization was formed to rescue and re-home Golden Retrievers and Labrador Retrievers, although they will accept mixed breeds and other purebred dogs as space allows. They also provide an alternative to the animal shelter for owners who can no longer keep their dogs. Jolinda knew right away that she wanted to be part of the group. 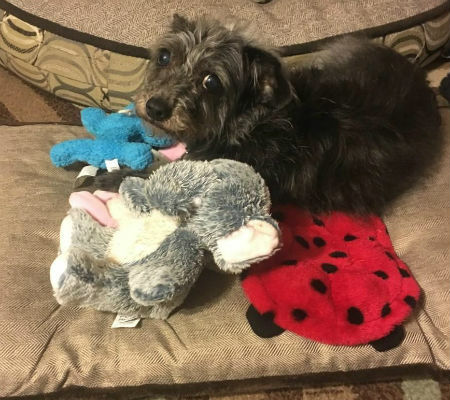 Since the Retrievers & Friends of Southern California is a full-service rescue, with dogs coming to them from all across Southern California for foster care, they not only provide care for dogs while they are waiting for adoption. They also provide follow up assistance for the life of the dog. And they have a veterinarian for any needed treatment. Jolinda is part of the team that helps to perform home inspections for people who have expressed an interest in adopting, and assesses the potential adopters accommodations. She also assists during drives for the spaying and neutering clinics that are organized. Jolinda donates when she can. And she felt there just had to be a way to bring in more money for the Retrievers & Friends of Southern California. As Jolinda tells it, she has always been a crafty type person and enjoys working with both her hands and her creative side. 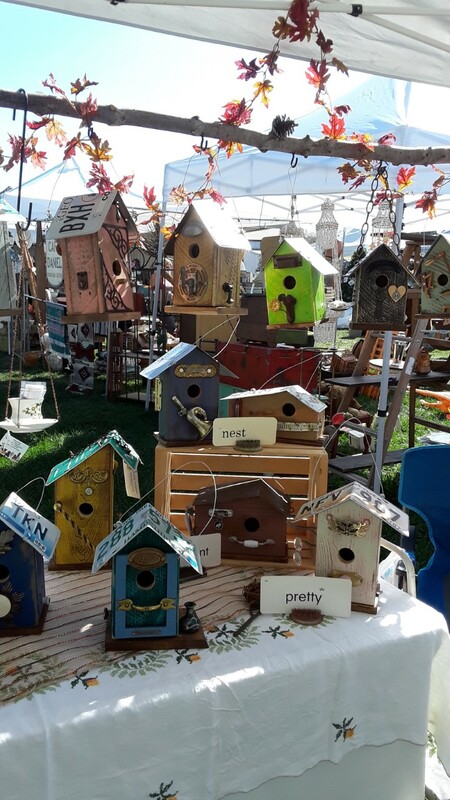 She realized that she could make birdhouses using decorative and genuine old license plates for the roofs and sell them at shows to raise funds. Jolinda does not work from a pattern. In creating her handcrafted birdhouses, she is a strong believer in using materials that are reclaimed and 100% recycled. Jolinda finds pallets and takes them apart to use for the frame. She has also found that she can use old fencing as well. Jolinda's birdhouses using vintage license plates are eclectic but functional. She sells them at vintage markets and in her ETSY store. You can also see her page on Facebook. Her customers often have requests for certain specialty license plates, the crowning jewel on her birdhouses. When she is at a show, she is always keen to see the reaction of the groups of people that gather. It is common to see them stand and stare at all the birdhouses. And then they smile! It is not unusual to hear folks comment at the whimsical, fun, and one-of-a-kind nature of her handiwork. Jolinda frequently has customers that ask her to do special custom orders using real old license plates. Some of her customers refer to Jolinda as an artist, but really, she just thinks about and loves the animals. She knows that she can contribute to the cause and help the rescue in its mission. One successful adoption at a time. All proceeds from Jolinda's sale of birdhouses using real old license plates goes to the The Retrievers and Friends of Southern California. While her sweet Lilly has since passed away, she now has two golden retrievers that she was blessed to meet and to be introduced to at the Rescue, Otis and Grace. While helping the Rescue, Jolinda works full time during the week. And she loves her daily walks with the dogs. On the weekend she walks down on the beaches in San Diego. And maybe by nature - Jolinda also participates in keeping the beaches along the Pacific Coast clean. No surprises here! You can catch Jolinda's next show at The Coast Vintage Market at Saddleback College in Mission Viejo, California on Sunday, March 10. ShopLicensePlates is the trusted supplier for over 20K authentic & old license plates! Since 2003 and with almost 20,000 decorative and authentic old license plates available and on hand, ShopLicensePlates is a leading purveyor and trusted source to collectors of all kinds. We have vintage license plates from the U.S., Canada, Mexico, Island Nations, Other Countries, and in bulk. We are here to answer any questions or to fill any needs you may have. We are pleased to supply Jolinda with a steady stream of old license plates and to play a part in helping The Retrievers & Friends of Southern California. It is a very worthy cause indeed.